US equity indexes closed a little mixed, sp +4pts at 2687. The two leaders - Trans/R2K, settled -0.3% and +0.3% respectively. 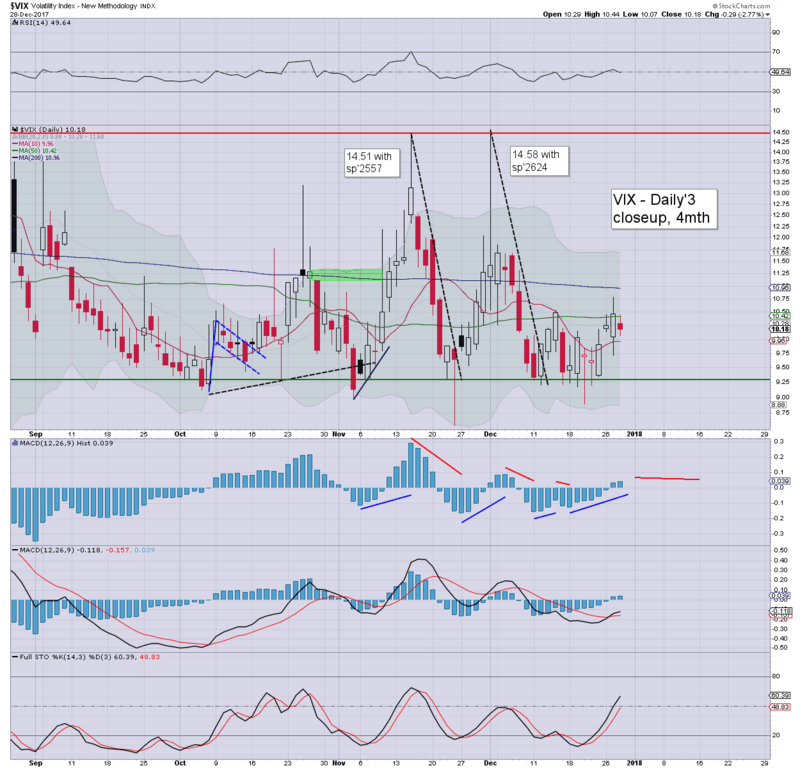 VIX settled -2.8% at 10.18. 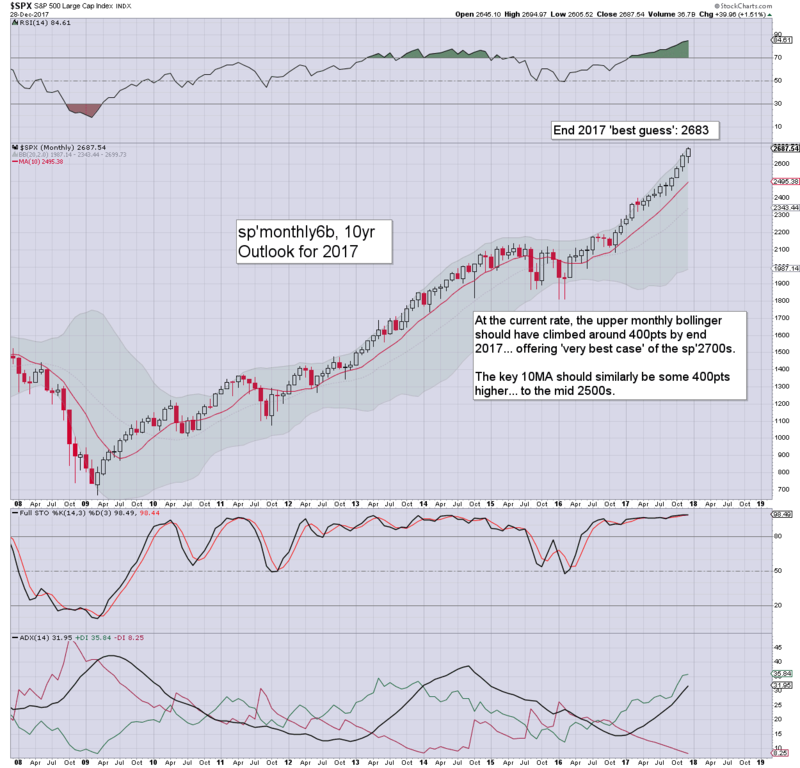 Near term outlook offers further minor chop into the yearly close. As I've been relentlessly touting across the year, the original target of 2683 remains on track. It was another day of minor chop for the US equity market. 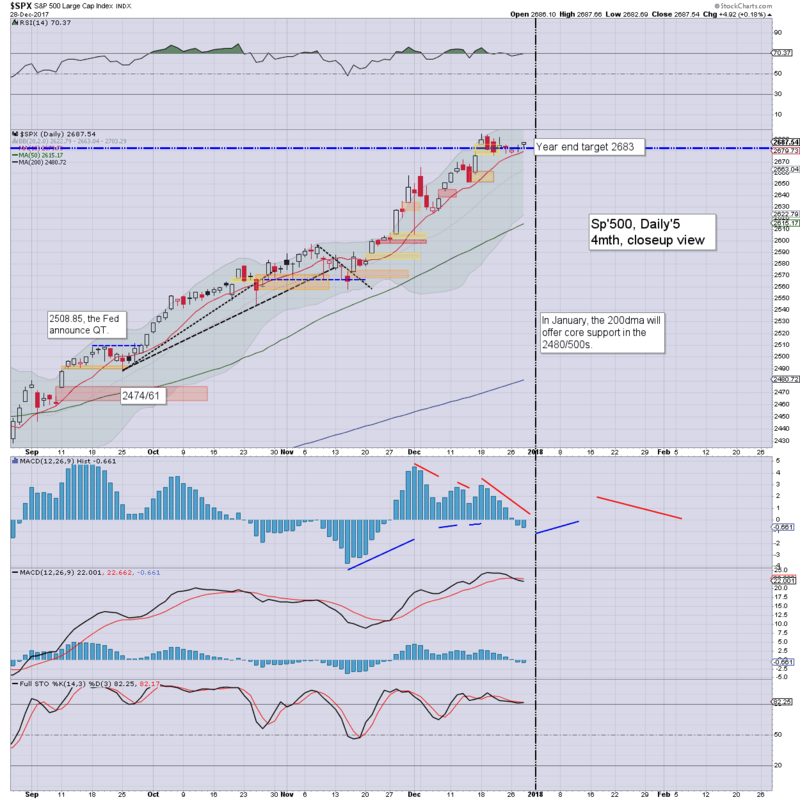 The NYSE comp' once again broke another (if only fractional) historic high of 12843. 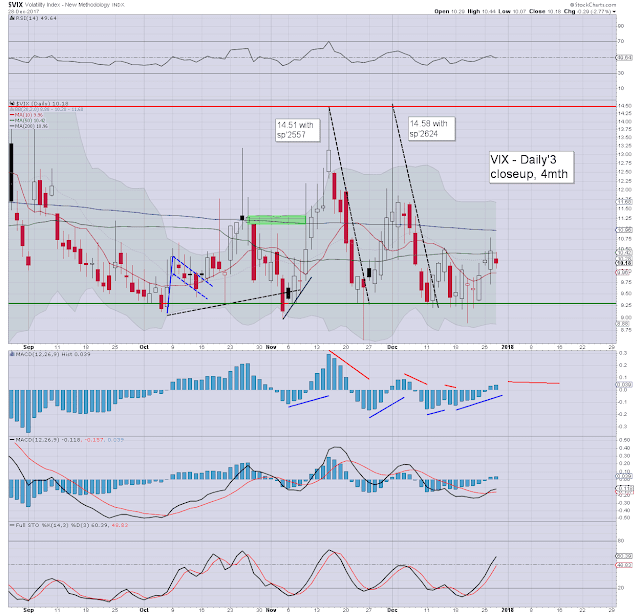 VIX was naturally subdued, settling in the low 10s. 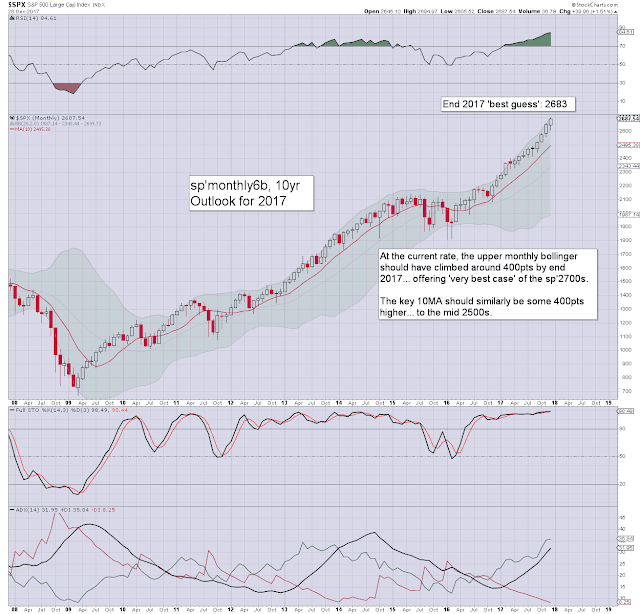 ... yours truly is understandably 'curious' as to whether the trading gods will indeed settle 2017 at sp'2683. Regardless, its going to be close.